Two-factor authentication adds an additional layer of security on your account in addition to your password. When enabled, you will be required to enter a code provided by an authorised device when you access the site. 1. Click on your name in the top menu of any page. 2. Click on the "Two-factor authentication" at the bottom of the account page. 3. 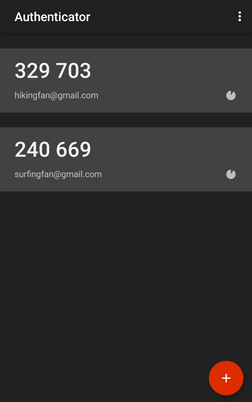 Install and open Google Authenticator on your authentication device (Android or iOS). 4. Click on the plus button in Google Authenticator to add a new account and select "Scan a barcode". 5. Scan the barcode on-screen. 6. Enter the pin that appears on your device. Important! Don't forget to make a note of your emergency authentication code in case you lose your device. How can I disable two-factor authentication?